Izmir, the third most populous city in Turkey with a population in the region of 2.9 million, has deployed Samsung cameras in support of its Full Adaptive Traffic Management system which provides real-time integrated traffic management as a means of reducing traffic jams and increasing road safety. The Samsung SNP-6320H Full HD 32 x optical zoom PTZ speed domes installed at key locations throughout the city are providing HD images in support of field devices such as detectors, signal transmitters, traffic signals and control devices. Collectively, they provide the ability to measure the volume of traffic at crossroads and enable signal times to be adjusted in real-time in order to minimise traffic congestion. The SNP-6320H models boast an auto-tracking feature, are weatherproof and have heaters powered by PoE+ to withstand extremely low temperatures, as well as a Digital Image Stabilisation feature which negates the effects of vibration. Images captured by the SNP-6320H models are recorded to Samsung’s SRN-4000 64-channel NVRs. These are able to simultaneously record and multi-stream the transmission of images at a high bandwidth speed of 400 Mbps and have a large on-board storage capacity via 12 hot-swappable internal hard drives. Power reliability is enhanced by way of a dual power supply. Camera images are transmitted to a dedicated Control Room. They can also be viewed by the general public via TV, the Internet and social media channels. 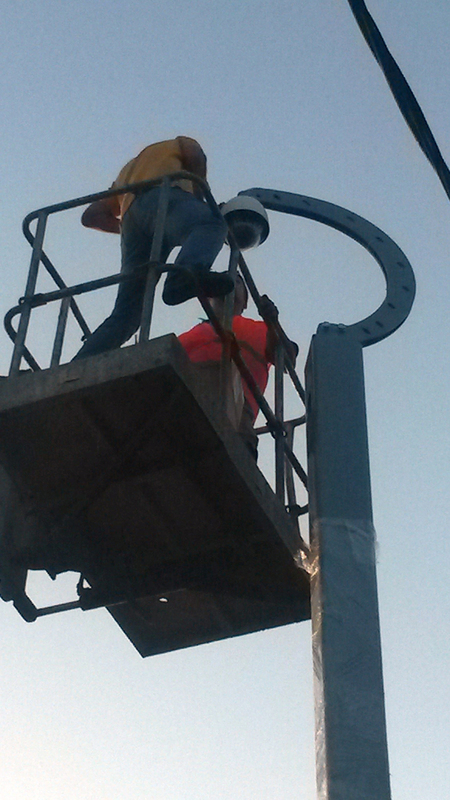 The Samsung SNP-6320H speed domes are also helping the city of Izmir to monitor the movement of public transport and Emergency Services vehicles. In total,1,500 buses as well as 100 ambulances and 164 fire trucks will wirelessly communicate with signalised crossroads and their movements monitored with the help of the speed domes as part of a traffic priority system. The Full Adaptive Traffic Management system has been implemented by EDS Elektronik (a Samsung distributor)in collaboration with systems integrator Mavi Güvenlik. 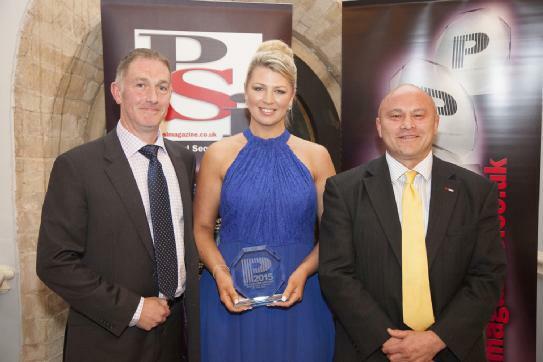 The ADPRO iRespond mobile app and the HeiTel by Xtralis Nano video transmitter developed for body-worn cameras have won the Software/IT Product of the Year category at this year’s PSI Premier Awards run by Risk UK’s sister publication Professional Security Installer. Xtralis provides mobile situational awareness solutions for end users, protecting and guiding first responders to deliver a comprehensive, effective and efficient response on a safe basis. 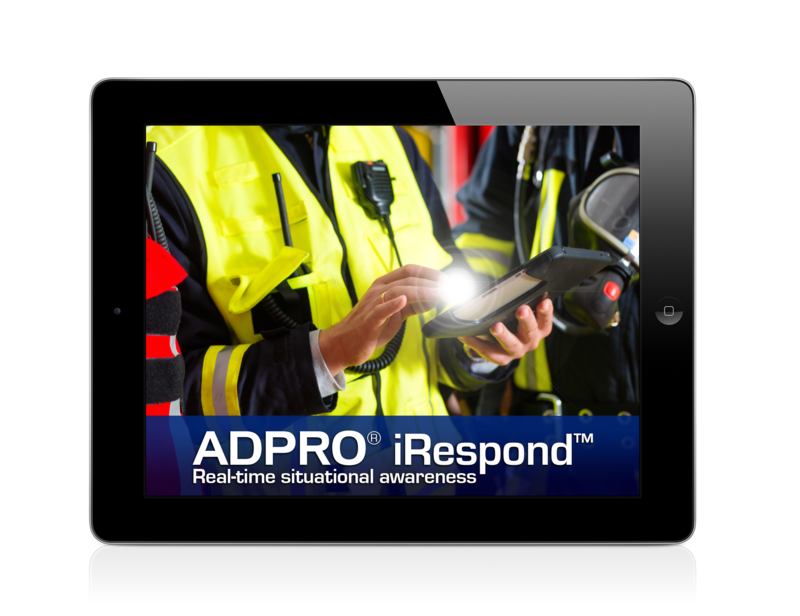 ADPRO iRespond is a mobile application designed for first responders to provide event notification and live remote video views at sites protected by ADPRO Remotely Managed Multi-Service Gateways (RMG) including the FastTrace 2 and iFT Series. Armed with a simple PIN issued by the Central Monitoring Station, first responders obtain recorded and live situational awareness of a threat such that risk is reduced and response is efficient and effective. The free application is available for Apple mobile devices in the iTunes app store at: https://itunes.apple.com/us/app/adpro-irespond/id878110903. 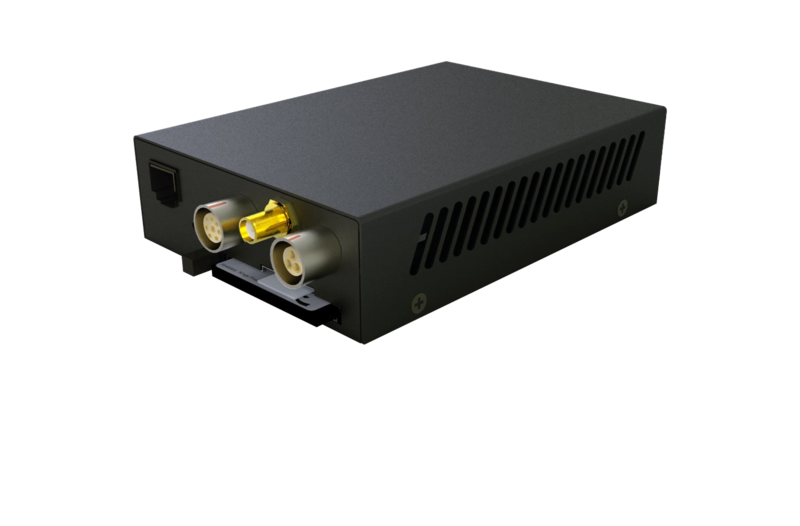 The HeiTel by Xtralis Nano transmitter provides for the reliable transmission of live and recorded video, bi-directional audio and GPS information over wireless technologies including 4G, LTE and CDMA mobile phone technology as well as satellite, Wi-Fi and broadband networks. The Nano transmitter is battery-powered and works with a wide variety of cameras. It’s ideal for body-worn vest configurations. For its part, the live and recorded video may be accessed remotely from a Control Room, PC, laptop, iPad, PDA, iPhone or Android device. It’s possible for six people to access the images simultaneously in different places via different methods. Xtralis offers powerful solutions for the early detection of fire, gas and security threats. The company’s technologies prevent disasters by giving users time to respond before life, critical infrastructure or business continuity is compromised. Protecting high value and irreplaceable assets belonging to the world’s top Governments and businesses, the company’s brands include VESDA and VESDA-E (very early warning aspirating smoke detection systems) ICAM for flexible ASD, the ECO gas detection and environmental monitoring modules for VESDA and ICAM systems, OSID (smoke detection for open areas) ADPRO and ADPRO-E (advanced, intelligent access, perimeter and intrusion detection solutions for multi-site and enterprise security), HeiTel – digital video remote monitoring – and ASIM for intelligent traffic detection. Major telecommunications provider Swisscom has integrated TBS’ 3D-Touchless technology within its latest state-of-the art data centre. Employing no less than 14 TBS 3D terminals, the client has subsequently ensured the very highest levels of security for both people and process in the Swiss-based operation. Swisscom’s newest data centre is the crown jewel among the company’s 24 such operations across Switzerland and provides the highest standards in terms of performance, availability and security for customers. Completed at the end of 2014, it represents Swisscom’s largest data centre and is one of only a few in Europe certified for maximum availability while also being afforded high ratings for energy efficiency. With a brief to procure the highest security systems available, Swisscom chose TBS’ 3D-Touchless terminals. These integrate with a full access control system supplied by Securiton. All systems – including the IP video surveillance set-up – are monitored from the building’s dedicated Security Control Room. Entry to the building is granted by way of RFID badge scanners followed by full metal detection units much like those employed at customs control. TBS’ 3D terminals are the final step when it comes to accessing the most secure areas within the Swisscom location. TBS’ 3D-Touchless Fingerscan provides Swisscom with a unique Swiss-made technology already proven in countless installations worldwide. Indeed, the 3D-Touchless reader is the only touchless biometric technology to deploy three cameras for the finger scanning process. This ensures ‘No Failure To Enrol’ and also avoids sensor damage. TBS’ BioAdmin management software has been integrated with Securiton’s access control system designated SecuriGate, in turn enabling integration as a biometric subsystem via web services. By dint of this innovative approach, responsibilities between biometrics and the overall security system remain clearly separated. TBS’ three-dimensional and contact-free sensor technology captures the highest possible quantity of fingerprint details, subsequently guaranteeing high security for the purchasing end user. Contact-free solutions are best suited to higher risk projects or those with large user groups.